For a horse bidding to win the sixth Group One of her career on Saturday, there is still a feeling Laurens heads into the Queen Elizabeth II Stakes at Ascot somewhat underappreciated. Trained by Karl Burke high up on Middleham Moor in North Yorkshire, the teak-tough filly is only third-favourite racing over her ideal trip, whereas market leader Roaring Lion is dropping two furlongs in distance on a surface thought unlikely to be in his favour. Aside from a disappointing display in the Yorkshire Oaks when she failed to see out a mile and a half, the only other defeat for Laurens this season came first time out when a highly-creditable second in the 1000 Guineas to Billesdon Brook. Since then she has won two Group Ones in France over 10 furlongs, together with the Matron Stakes at Leopardstown and the Sun Chariot at Newmarket, both over a mile. But this will be her first run against the boys. Owner John Dance told Press Association Sport: “A little part of me still thinks she doesn’t quite get the credit she deserves, given what she’s achieved, and I suppose people have been looking for the real soft-ground horses like Addeybb and Lord Glitters. 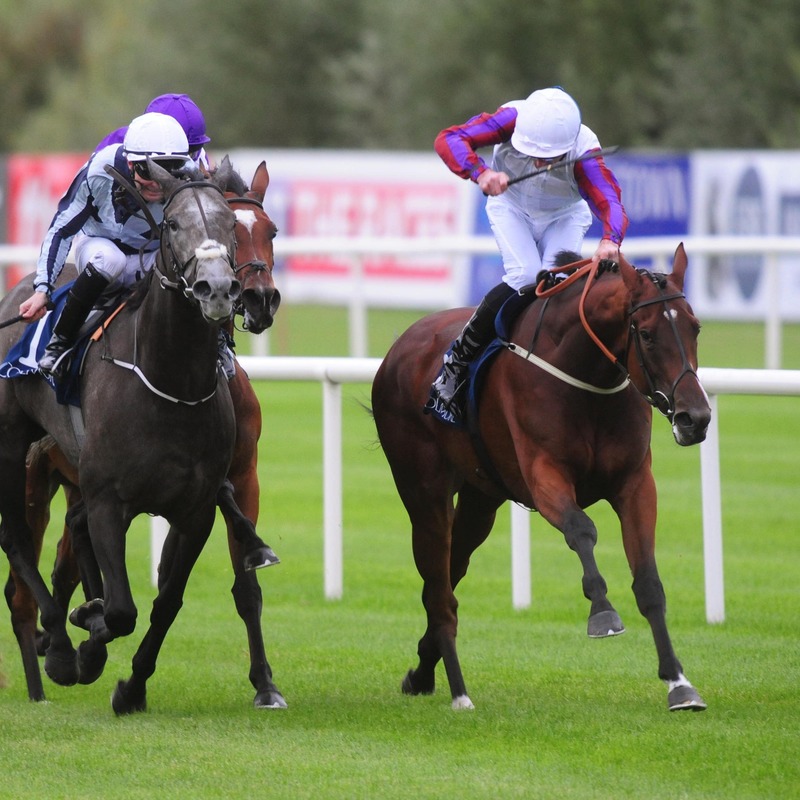 “Obviously Roaring Lion is running, too, as opposed to in the Champion Stakes. “You pick up on comments on social media and people seem to think she’s had a hard year and this may be one run too many, it’s quite a quick turnaround after the Sun Chariot and even those that do respect her are not sure it will be her day. After the aborted mile-and-a-half mission at York, Laurens did the almost unthinkable and beat Alpha Centauri in Ireland, but an injury to the latter meant attention was understandably cast elsewhere. “She proved in the Matron that she’s as good over a mile as a mile and a quarter and we wanted to back that up in the Sun Chariot, and thankfully she did,” said Dance. “I don’t think it would have changed anything had we known Roaring Lion was going to be in the QEII before we supplemented, I’m no more worried about him than any other horse because it doesn’t change the view that the QEII is the right race for us. “Had the ground been quicker he’d have been in the Champion Stakes, she was already in that yet we had to supplement for the QEII. He’s a fantastic horse, there’s no doubt about that, but there is an argument that he has needed every last yard of a mile and a quarter to show his best. “I do get the impression from John Gosden and Oisin Murphy that they believe Roaring Lion is a better horse at this stage of the season than when he ran in the Guineas, so that is a fair enough reason not to write him off over a mile, and the ground brings his stamina into play. Dance retains jockey PJ McDonald for all his horses, but an injury in early September meant Danny Tudhope replaced him in the Matron and Sun Chariot and the owner is glad he has been spared a difficult call. “I feel like we were given a get-out-of-jail-free card, really, because Danny is banned and PJ is back!” he said. “With Danny banned there was no decision to make, but it would be hard to jock off someone who has just won you two Group Ones. It would have been hard, but PJ is our man. Laurens was bought for £220,000, a lot of money in any language, but not particularly when you are taking on sheikhs, royalty and private investment funds. Dance went on: “People say how lucky I am to get a horse like Laurens so early in ownership. I tell them it’s not just so early – to get one like this ever. By our standards she was very expensive, she cost the sort of money we thought we’d be selling horses for, not buying. “You only have to look at the money spent recently at Newmarket to realise what owners like myself are up against in this game. We’re small owners without deep pockets relative to the big boys. To get one like her is just amazing. “I think a combination of the little guys taking on the big boys, the way she runs – the phrase ‘wearing her heart on her sleeve’ has been well used – I think it all adds to her appeal.